Vice president, Prof. Yemi Osinbajo was quite elated as he paid a visit to a community in Abuja known as Jokwei. The VP was invited by a group of local women who on their own had formed a Buhari Support Group in the neighborhood. .
At end of the exercise, the VP and his team entered the bus to depart for the Villa. 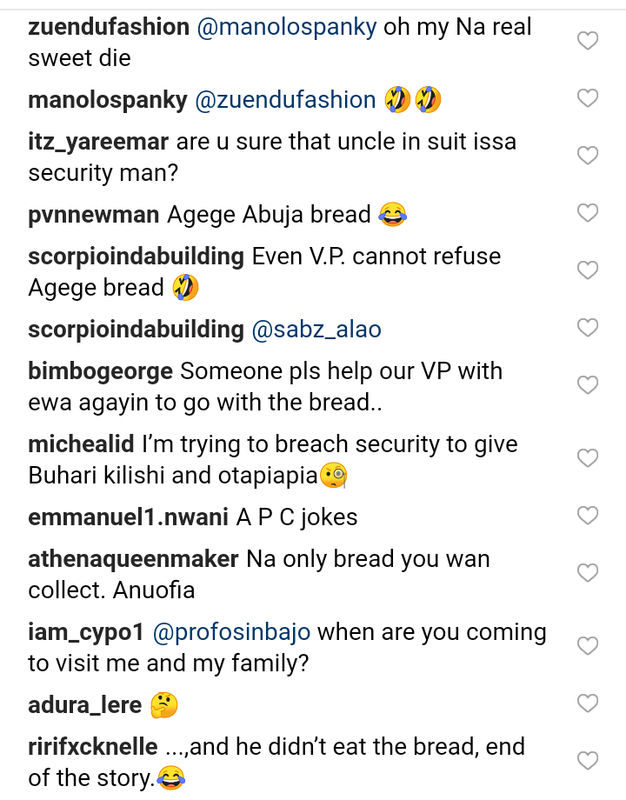 A young man seeing that the vice president was exhausted and tired – ran to a nearby kiosk, bought a loaf of bread and pursued the bus. He caught up with the bus, banged the window calling Osinbajo’s attention to his little gift, his widow’s mite. 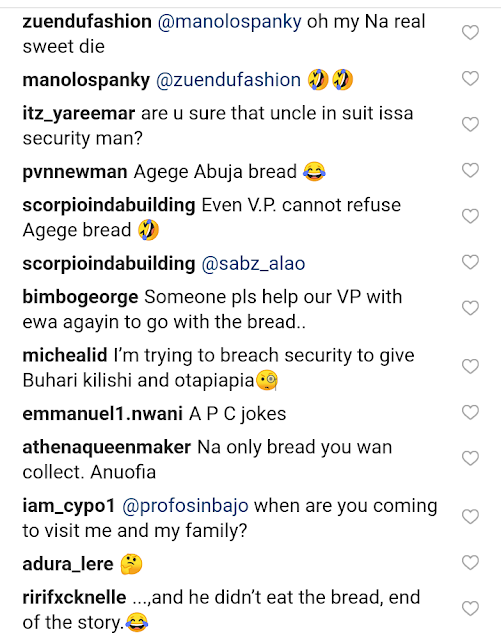 The security men were about pushing him away, questioning his audacity when the Vice President asked that he be left alone. 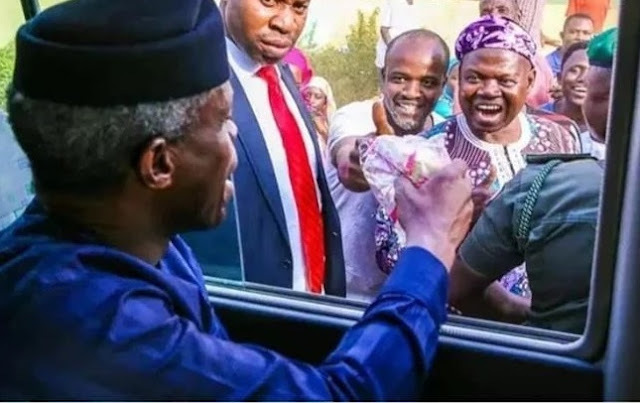 Osinbajo opened his window, gladly accepted the loaf of bread from him and prayed for him for his kind spirit.